Ooooookay, we are back. Apologies for the lack of posts. That great vacation we were on…not so great. We were both brutally ill and are just now getting our energy back. Thanks for your patience though! Anyway, what do you get when you have a new wool sweater for your husband and a wife who’s really bad a doing laundry? 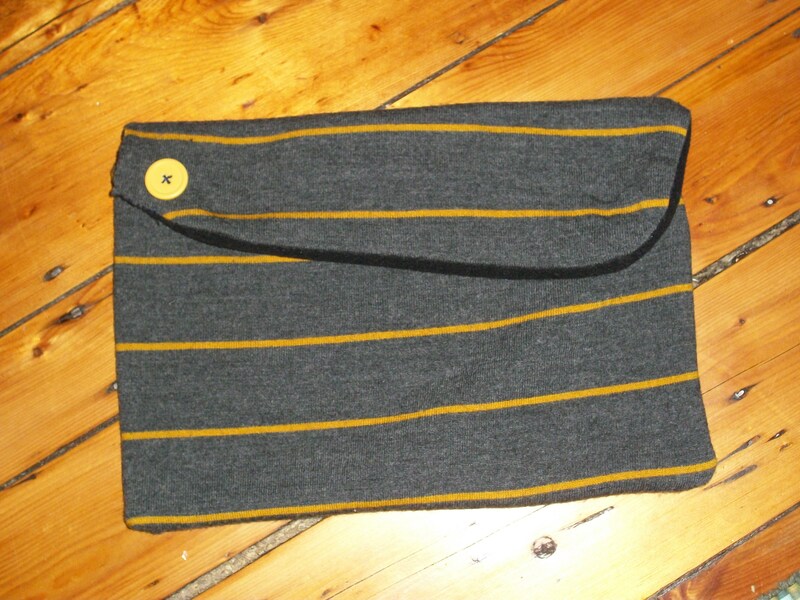 A very small new wool sweater and a brand new laptop case. That’s right, I have problems with our dryer and I shrunk his new sweater. So I got to work on re-purposing it. 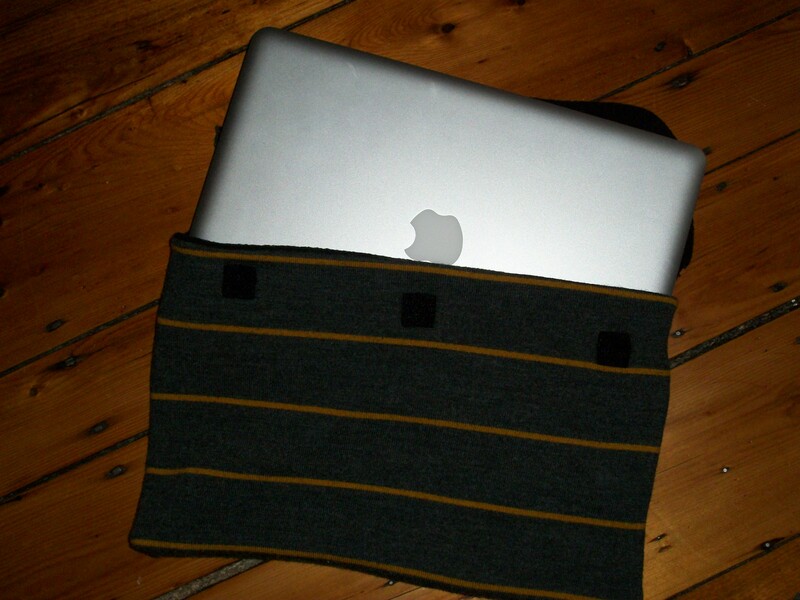 Using instructions from this website I created a great new laptop sleeve for our mac. Please note, mine should be straight across but I also have issues with doing things in a straight line (note the slanted velcro…), so mine is fancy and slanted. Totally not perfect AT ALL, but it does the trick and I love it. The instructions call for a fabric to line it with as well as batting, however, I just lined it with fleece so I didn’t need an additional fabric. 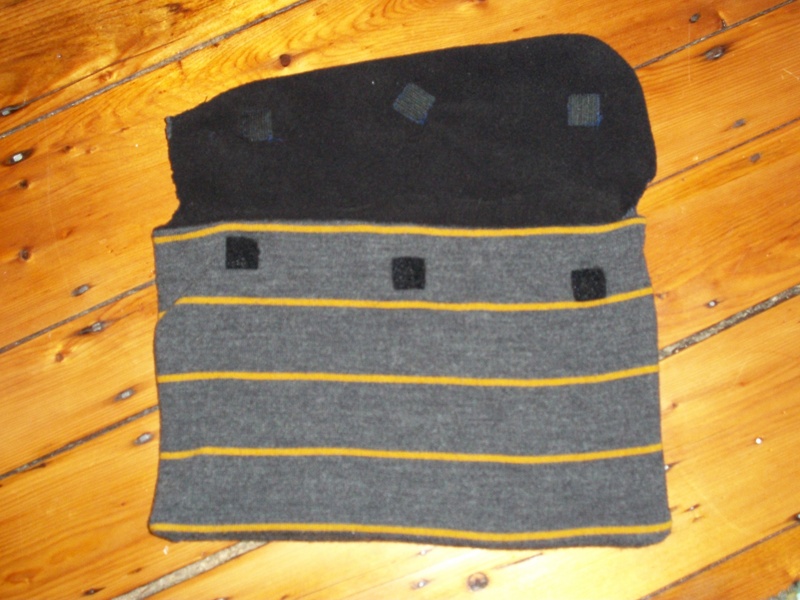 I had the fleece, but feel free to try it with the batting too. If anyone does decide to make one please share it along with any additional advice you might have!